Special Pricing during the week of the conference – These Deals END SOON! Go to Jamie’s Online Bookstore Now! 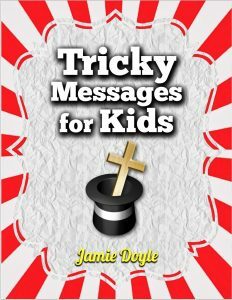 Jamie’s Revised and updated book from which his workshop of the same name is based. 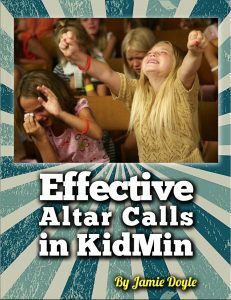 Learn some best practices for inviting children to respond to: salvation, your message, baptism in the Holy Spirit and more! This PDF e-book all about gospel magic! It will give you step-by step instructions, graphics and even links to secret video clips of Jamie performing and demonstrating how each routine should be done. I have privilege of teaching 2 workshops, next week during the AGKidmin17 Conference. It’s not too late to register! You have the ability to take simple, biblical concepts and combine them with easy-to-learn methods of illusion and sleight of hand for a fun and incredible message! By adding a few easy and effective principles, Jamie will show you a number of gospel illusion routines that you can start using immediately! Wow your class or large group and make the kids’ experience unforgettable. You’ll come away with ideas for commercially made as well as make-it-yourself illusions. Workshop Description #2: Kids need to respond to your message. Why not give them a time and a place to do it? Find out how to effectively present to children a call to prayer for salvation, for personal needs and commitments, and for the baptism in the Holy Spirit. Not only will I be teaching, but numerous other influential voices will be teaching over 100 workshop sessions… plus other special features and ways to connect with others — you don’t want to miss this! I hope to see you and many other friends at the conference next week!